MCR-5000 Debit Card Terminals provide access control to copier machines, fax machines and similar type of equipment through the usage of encoded magnetic stripe cards. 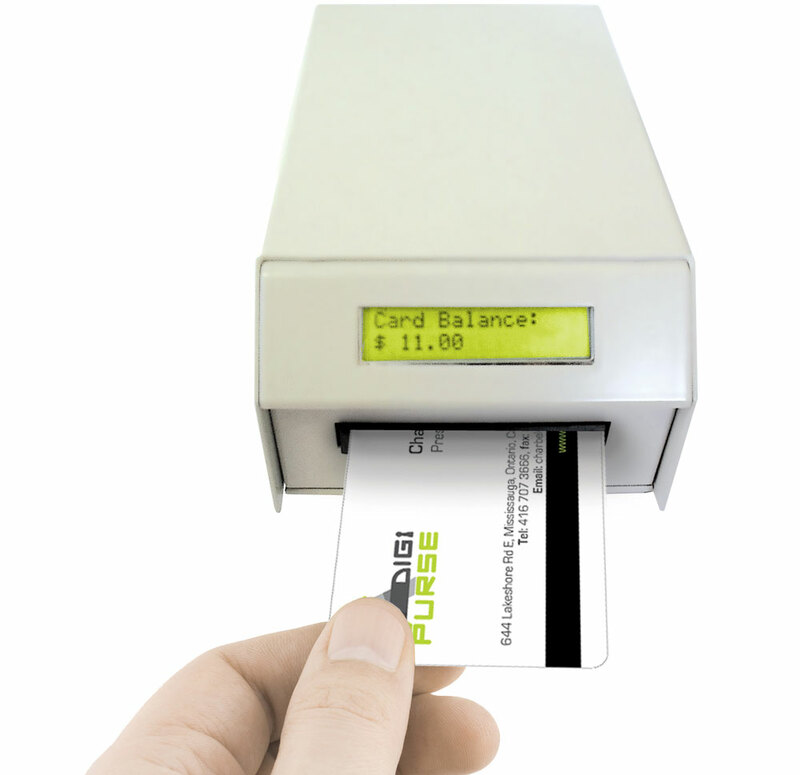 The reusable magnetic cards are used to store account balance or patron’s ID in order to allow usage for both offline and online modes depending on the application requirements. In this mode the MCR-5000 provides or denies access to the controlled equipment based on the balance stored of the presented card. In this mode the MCR-5000 operates completely as a stand alone controller and requires no communication with a host or a master. In this mode the MCR-5000 is used to revalue the balance stored on the presented card using the attached keypad. Simply key in the new balance to revalue the inserted card. In this mode the MCR-5000 used to format and revalue blank cards. The inserted card will get formatted and encoded with a pre-programmed value stored in the internal settings table. In this mode the MCR-5000 is fully controllable using a communication protocol. The Controlling host will have full control over the reader and the balance of the presented card. The MCR-5000 operates with a wide variety of copiers and communicates with many of the leading edge software packages in the market.Compatible Card Formats: ACT, ICS & ITC. serial reader to support cash registers, print management software etc..